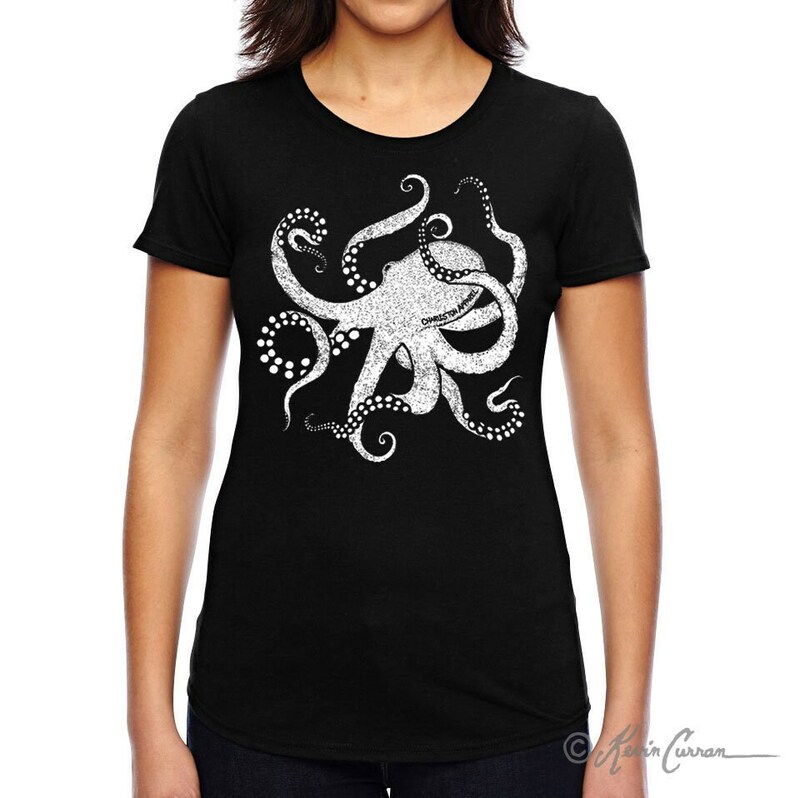 Cool Octopus Front Design on a Ladies Soft Triblend Curved Bottom Hem Shirt. 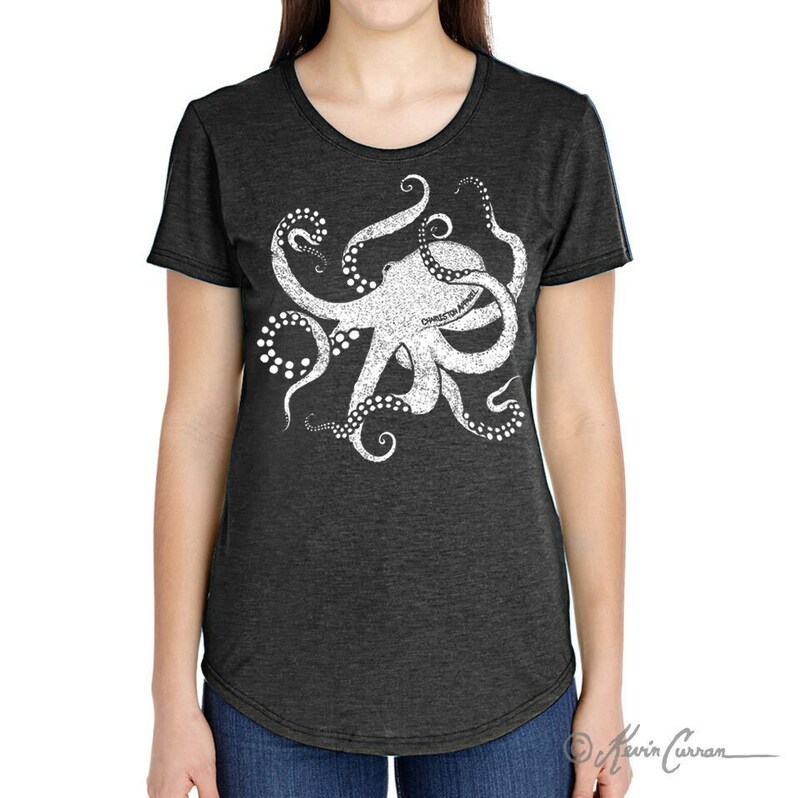 This shirt is made of soft, light weight, 4.7 oz., preshrunk50% polyester / 25% combed ringspun cotton / 25% rayon. A sizing chart can be found in the pictures above. These shirts have an accurate, comfortable fit, and are extremely comfy. 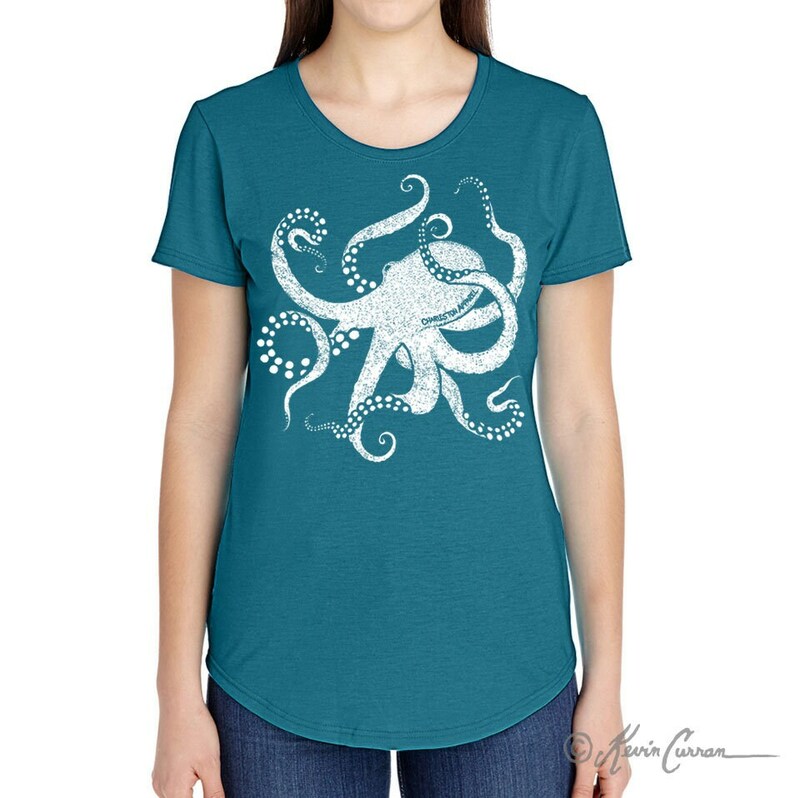 This shirt makes a great gift for any occasion, especially Valentine's, Mother's Day, Christmas, and birthdays.